Location: Booth #832, by the tennis courts. It’s that time of the year again! We are asking the entire Pack 1776 Cub Scout family to participate in our annual Cotton Candy Fundraiser at the San Ramon Art & Wind Festival. Pack 1776 gets a major funding boost from this event and we definitely need volunteer support from all of our dens. 1) At least one parent is required to be with their scout but the entire family is most welcome to join the fun. 2) Each shift must have at least 1 Scout Leader and no more than 4 scouts inside the booth. 3) Remember to maintain a Scout attitude. Don't forget that you are all perfect 1776 Gentlemen. Always thank those we have asked and always wish them a good day, have the proper attitude, demonstrating good manners and conduct. There are still afternoon openings available and we encourage you to click here to sign up now ! 1.) At least one parent is required to be with their participating scout in this fundraiser but the entire family is most welcome to join and have fun. 2.) Each shift must have at least 1 Scout Leader present. There will be no more than 4 scouts present inside the booth during any shift. 3.) Try to remember to maintain a Scout attitude while participating in this fundraiser. Don't forget that you are all perfect 1776 Gentlemen. We should always thank those who we have asked and always wish them a good day, to encourage proper attitude demonstrating good manners and conduct. Please contact Marcos Perez if you have any questions. It’s that time of the year again! We are asking the entire Pack 1776 Cub Scout family to participate in the sales of our Cotton Candy Fundraiser at the 2014 San Ramon Art & Wind Festival. We will be at booth #188 on the Bollinger Canyon side (see booth location map and bottom of the festival map). For more information, please contact your District Friends of Scouting Chair, or the Finance Director. Many corporations match gifts made by their employees to the Boy Scouts. Some companies even give financial contributions on behalf of the time you give as a volunteer. Check the Matching Gifts section to see if your corporation is on the list. It’s that time of the year again! 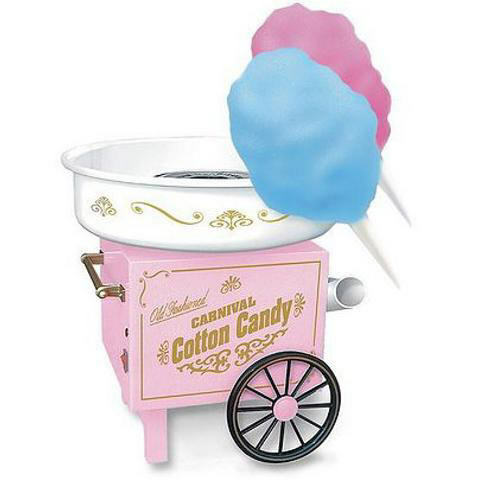 We are asking the entire Pack 1776 Cub Scout family to participate in the sales of our Cotton Candy Fundraiser at the 2013 San Ramon Art & Wind Festival. It’s that time of the year again! We are asking the entire Pack 1776 Cub Scout family to participate in the sales of our Memorial Day weekend Cotton Candy Fundraiser at the 2013 San Ramon Art & Wind Festival, Sunday, May 26 and Monday, May 27. Last year, in addition to having a great time, we were able to raise enough money to keep our annual dues at the same low rate in previous years, while earning extra cash to present fun events, like the Raingutter Regatta and the Pinewood Derby. 3.) Try to remember to maintain a Scout attitude while participating in this fundraiser. Don't forget that you are all perfect 1776 Gentlemen. We should always thank those who we have asked and always wish them a good day, to encourage proper attitude demonstrating good manners and conduct. Class A uniform. I will send out a signup invite in early May, once I get the details confirmed with the city. If you intend to pay by check, please bring your checkbook to the Blue & Gold as we will be collecting the pledge cards the same evening. If you do not intend to participate, please put down zero as the pledge amount, as we need to collect all the cards that are handed out. Here is an example of the pledge card you will be receiving. On behalf of the Mt. Diablo Silverado Council and Pack 1776, we thank you for your support. We hope that you and your family will be able to join us at our Blue & Gold Banquet scheduled for February 15th at 5:30pm at the Coyote Creek MPR. We are very proud of all the boy’s achievements and extremely appreciative of all the parental involvement. 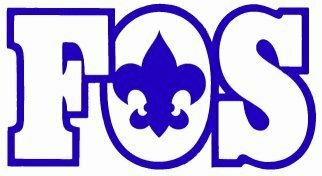 During the banquet, we will be making a brief presentation of the annual Friends of Scouting (FOS) campaign and then asking for your pledges to support our Pack’s FOS effort. The FOS program helps underwrite the cost of Scouting for our district, the Mt. Diablo Silverado Council. We thought it might be beneficial to send out this letter in advance for your information. Each year, our Scout parents are asked to support some of the hidden costs of Scouting. The Mt. Diablo Silverado Council, which serves almost 17,000 youths, provides numerous benefits to all of our boys and adult volunteers. A few of these benefits include subsidized Cub Day Camp and Cub Family Camps, maintaining facilities such as Camp Herms and Wolfeboro, as well as youth and leadership training. FOS provides these benefits to our Scouts throughout the bay area. The district’s goal is to raise $120,000 for this year. In the past, parents have contributed gifts ranging from $10 to $1,000. The Scouting organization annually spends about $200 per boy while the registration fee is only $15. The Council hopes that each family will give enough to offset the spending cost for each boy, but if your family cannot contribute to this extent, please know that any amount is welcome. Participation by every family, at any level, is the goal. If you believe that the Scouting program has had a positive impact on your family, I urge you to join me in this effort to keep the Scout program the dynamic experience for the youth in our area.